Both teams are in Group C of the group stage with Azerbaijan, Northern Ireland, San Marino and Norway. Germany is first on the table with three points from one game, above on goal difference from Azerbaijan. On the other hand, we have the Czech R who are third on the table with one point, two points below Azerbaijan and one point above San Marino. The German fans were not very happy with their performance in the Euros as they lost to the host nation in the semi-finals. And they are also the defending champions, so hopes are very high from the fans. They played their first game in the group stage against Norway and won the game by 0-3, the game was played at the Ullevaal Stadion in Oslo. Thomas Muller scored the opening goal in the 15th minute to make it 0-1, then Joshua Kimmich scored to make it 0-2 in the 45th minute. Then Muller scored his second to make it 0-3 in the 60th minute. Germany maintained 73% possession, had 21 shots out of which eight shots were on target. On the other hand, Norway had just 27% possession, four shots on goal and none were on target. The C Republic had a bad Euro 2016 experience as they were eliminated in the group stages as they lost two games and drew one. 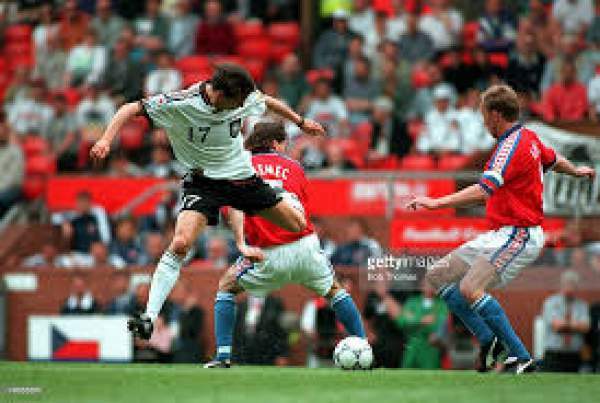 They played their first game of the group stage against Northern Ireland and was able to draw the game by 0-0, it was played at the Generali Arena with 10,000 fans witnessing it. The Czech Republic had 65% possession, 17 shots on goal out of which one was on target. On the other hand, we have Northern Ireland who had 35% possession, seven shots on goal out of which three were on target. Neuer, Kimmich, Howedes, Hummels, Khedira, Muller, Kroos, Ozil, Draxler, Gotze. Vaclik, Kadaerabek, Suchy, Kadlec, Novak, Krejci, Derrida, Skalak, Pavelka, Skoda, Kadlec. Both teams are in good form and will try to win the game. Come back for the match result, full video highlights, and much more. Don’t forget to share it on social media sites. Who do you think will win the game?